Multimeters were made to measure different electrical values, and one of them is voltage or volts in short. This device makes it easy to measure an electrical circuit’s voltage. However, even professionals who work with electricity on a daily basis have their precautionary measures when dealing with this element. The process of measuring voltage using a multimeter is very easy and straightforward. Because multimeters are digital, it is relatively easy to read. Using this device is as simple as positioning the probes opposite each other at an area where voltage needs to be measured. Let’s try testing on an AA-type cell. Using a multimeter, set the probes back to their respective ports: the red one should be into mAVΩ and the black one into COM. Set the multimeter to the range of 2 volts in DC or direct current. Place the black probe at the minus sign (negative), and the other should be at the plus sign (positive). Place the ends of the probes on the terminals and apply some pressure. A brand new battery will yield 1.5 volts. Measuring DC is reasonably safe compared to AC. For AC testing, it would be better to use a tester that needs no contact than a multimeter. Check the multimeter first before starting to use it. Every knob, test probe, component should be working fine and that no conductors are out of place. The test leads should be in their proper places at the voltage and the standard ports. Avoid leaving them in the sockets for current to avoid any explosions. The multimeter’s dial should be at highest voltage range and on the AC volts. The device should be off before use with the test leads at their proper outlets. At the neutral pin is where the probe should go in first before it hits the live pin. Doing otherwise could cause a shock. Turn the power on and start measuring. A CAT III or a CAT IV offers protection against voltage testing risks. 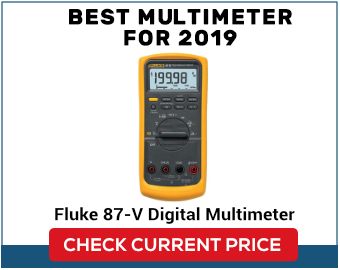 Choose a multimeter that has various features that will protect you from overheating, overloading, and potential explosions that can result from wrong connectivity. Professionals and amateurs working with voltages should have a non-contact voltage detector to determine which of the conductors is hot or live when doing a checking or maintenance at home. It is much safer and more efficient especially when insulation-covered wires are present compared to a phase tester. This is also beneficial when checking for breaks and where breaks happen in power flexes. A neon tester should be used to test if power is off during electrical maintenance. First, turn off the circuit power that will undergo testing if there are tightly spaced wirings and other components that are at risk of shorting because of varying voltages. Take the black probe and connect it to the COM port of the multimeter. At the socket that has a V posted, connect the red test lead (positive). This part of the meter may also come with the omega (Ω) symbol. Select between AC or DC voltage if the multimeter comes with a manual dial for choosing the setting required for testing then select a range for an accurate reading. The range of 20 volts on a 12-volt reading will yield more decimals than what a 200-volt range will give. Use the dial to select the V setting for AC and DC if the multimeter comes with auto ranging feature. Position the test probes alongside the source of the voltage then test the volts. It is the only way that a multimeter will be able to detect the voltage and other electrical values. Use the black lead tester to probe against the main part of the wiring. Use the red lead tester to probe the next point or area for testing. You must be careful not to connect the testing point and the wiring beside it, nor the terminals at the printed circuit board. Record your reading featured at the LCD.